As the owner and a travel advisor for Be The Tourist, I often work with couples who have done extensive research on many locations and still don’t know where or what to choose. Destination travel can be tricky, because we all know what is shown and described on the internet may or may not be portrayed accurately. 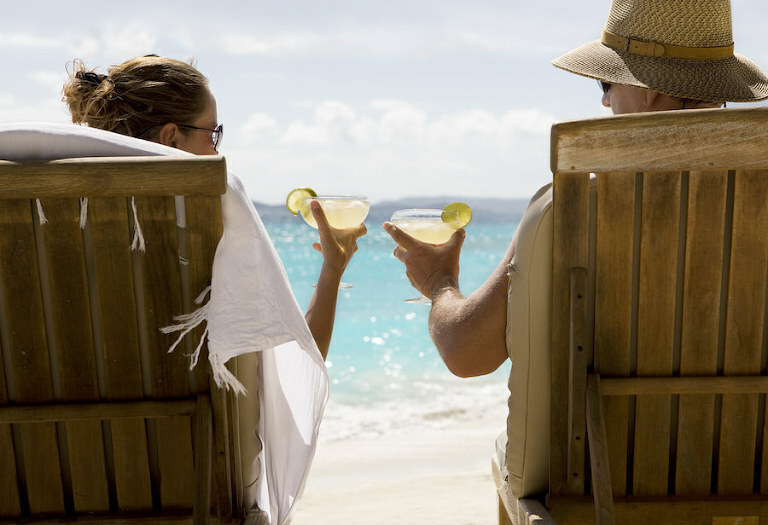 It is perfectly acceptable to have several honeymoon destinations in mind when contacting your travel advisor. Our job is to help you when it comes to making that final decision! Choosing a honeymoon destination tends to create a lot of pressure. When I speak with my couples, I find out what is the ultimate goal is first, then we discuss the locations that would work. Don’t be embarrassed about not knowing which location is for you. We are the experts and can help you figure out what makes the most sense for that perfect honeymoon. Be realistic about what you can afford now and what you should table for the future. Couples often come to me wanting the exotic and far-away-Instagrammable locations. However, sometimes it makes sense to scale the honeymoon down to something more relaxing, easy to get to, and less expensive. In the travel industry, we call that a “Mini-moon.” Then later, perhaps on your one-year anniversary, you can go big! Do that exotic and far away vacation. The one-year anniversary trip allows for your finances to recover post-wedding, the stress levels to wane, and more paid time off from work! As much as we’d like to, travel agents can’t predict the weather, but we can give you a good idea of what it will be like. If you are getting married in January in Florida, but want to go to Ireland for your honeymoon, then pack an umbrella! Dublin averages 13 rainy days per month in January, and the weather is cold. Australia is “down-under,” so their seasons are opposite of ours; their summer is during our winter. If you envision warm weather, cute sundresses, and sunsets, make sure you choose a destination with the right climate during your travel time. Nobody wants to get sick on their honeymoon. If you have food allergies, dietary restrictions, or are a picky eater be sure to know what the locals tend to eat. Although the world is global and most well-known hotels and resorts cook American-style food, your burger won’t be exactly the same as a grilled burger in the U.S. If you aren’t inclined to try new and different foods, then that should be a big factor in choosing your destination. If you are willing to try anything once, and are open to new food experiences, it opens the doors to a lot more places. Be The Tourist tip: There are several destinations that are hot for the foodies and some may unexpected. Mexico City is on fire with exciting new restaurants and famous chefs. Thailand is always popular for amazingly good cheap eats. Tokyo is one of the hottest destinations for 2019 and 2020, and its street food is out of this world. And of course, we can include just about everywhere in Italy! Weddings can be exhausting. You just spent tons of money. You were a negotiator and peacemaker and spent loads of energy handling last-minute details. And on top of all that, you needed to smile and attempt to soak in every minute and every detail of the day. While normally you may like your vacations to be go-go-go, be sure to cut out time to diffuse, relax and recoup yourselves. You can do this by having your first day in the destination as a “free” day. No tours, no to-do list items, just give yourselves time to reconnect. When there is an option, choose flights that allow you to arrive fresh and at a decent hour in the destination. Keep in mind that some destinations will require you have more interaction with people than other destinations. Decide ahead of time how social, how much go time and how much downtime you think you will need. While it may seem obvious, keep in mind that this is a trip for both of you! Make sure your partner is on board with the final decision. Discuss vacations you have taken in your past, both together and not together. Talk specifically about what you liked best about those trips and what you liked least. For one person, it may be that the level of service they received at a resort made the trip amazing. For the other, it may have been the ability to just wander around a city and really feel the culture. Be prepared to compromise. If you get stuck, consult a travel agent. They have solutions to please both of you! When you and your fiancé agree to target a destination, I still advise my clients to keep their options open. There are destinations that may not have showed up on your radar. You may run into roadblocks with your dream destination. Small islands have limited air service. Flight costs may price a location out of your budget. Resorts may get sold, change management, or be torn down. 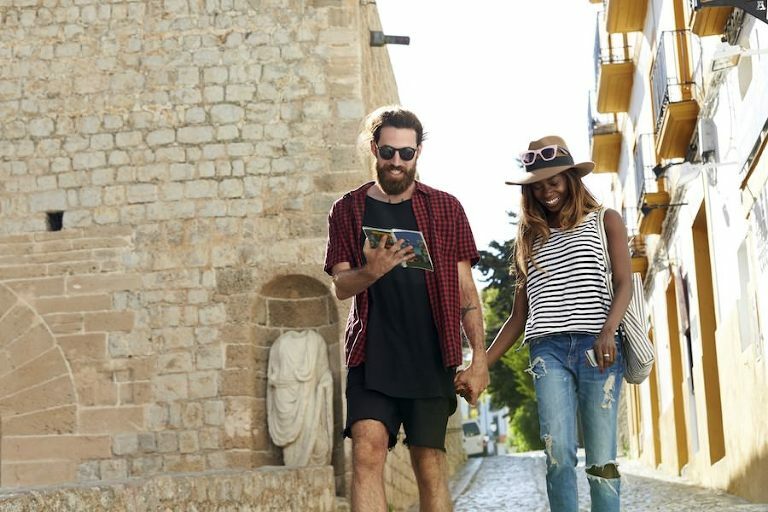 This is when a relationship with a travel agent comes in handy. The travel agent stays on top of where it is safe to travel when it is a good time to go, and where you should stay when you get there. Kelley is known to work around the clock for her couples and clients. No travel dream is out of reach! She negotiates group rates with the resort and handles all the guests travel needs. She knows how to make traveling with kids and grandparents easier than ever and will remove any stress or worries you have before departure. She will walk you through the booking process so you never have to get bogged down in the details and will listen to you to find the best-personalized options in any destination. Some of her favorite trips have included Italy, France, Germany, cruising all around the Caribbean and the Mediterranean, wandering around the USA, Europe, Central America and Mexico.